Francis Eugene Thompson, Sr, 82 of Lexington Park, MD, known as “”Gene”” was born on July 5, 1936 in California, Maryland to the late James Harry Thompson and Ann Elizabeth Lloyd Thompson. Gene departed this life on Wednesday October 31, 2018, peacefully and quietly at the Sagepoint Senior Living Center in La Plata, Maryland. Gene was raised in the Catholic faith and was educated in St. Mary’s County. He attended St. Peter Claver Elementary School and Cardinal Gibbons High School in Ridge, MD. After 30 years of service with the federal government at the Naval Air Station, Patuxent River, Maryland, he retired on May 29, 1987. 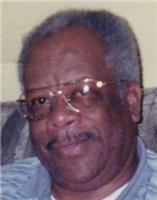 He also worked with the St. Mary’s County Public School System and retired in 1998. Gene was a very quiet and laid-back person. He enjoyed watching his favorite TV shows such as westerns, auto racing and Family Feud with Steve Harvey. He also loved attending the local county tractor pulls and attending the St. Peter Claver Labor Day festival. He could be seen anytime riding his bicycle through the neighborhood. He was a dedicated Washington Redskins football fan. He and his daughter Angela had fun ribbing each other about the Washington Redskins and Dallas Cowboys. He also enjoyed reminiscing about old times with his brother Raphael. In his later years, Gene looked forward to shopping every Saturday with his daughter Angela and granddaughter Latasha, his favorite store was Walmart. He also loved listening to gospel and jazz music. Gene also liked sharing stories with his nurses about his granddaughter Latasha and his great-nephews Kristopher and Cameron, his “”little buddy””. Gene leaves to cherish his memory three children, Angela R. Thompson of Hollywood, MD, Eugenia M. Thompson of Germantown, MD and Francis E. Thompson Jr. of Silver Spring, MD; a granddaughter, Latasha R. Baker of California, MD; six siblings, Elizabeth Chase and Shirley Gordon of New York, John Thompson (Deloris) and Catherine Herndon (Harold) of Hollywood, MD, Theresa Johnson of Lexington Park, MD and Raphael Thompson (Cynthia) of Waldorf, MD; a sister-in-law, LaVonne Thompson (Paul) of Harrisburg, PA; aunt, Estelle Thompson of Lexington Park, MD and a host of nieces, nephews, other relatives and friends. He was predeceased by his parents, two brothers, James H. Thompson, Jr. and Paul Thompson and four sisters, Barbara Elaine and Marie Antionette Thompson, Sarah Ernestine Lynch and Linda Thompson Woods. Family and friends will unite on Saturday, November 10, 2018 for visitation at 10:30 am until Mass of Christian Burial at 12 noon at Immaculate Heart of Mary Church, 22375 Three Notch Road, Lexington Park, MD. Interment to follow at the church cemetery. Contributions/Donations may be made to Sagepoint Senior Living Services, 10200 La Plata Rd, La Plata, MD 20646. This entry was posted on November 8, 2018 at 3:10 am and is filed under All News, Obituaries, z Obituary Ad Top. You can follow any responses to this entry through the RSS 2.0 feed.